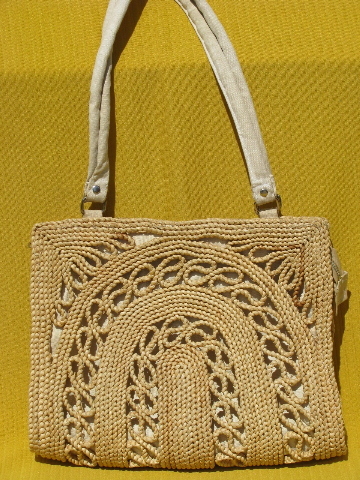 Lot of six vintage handbags and shopping totes or beach bags, all natural tan colors. 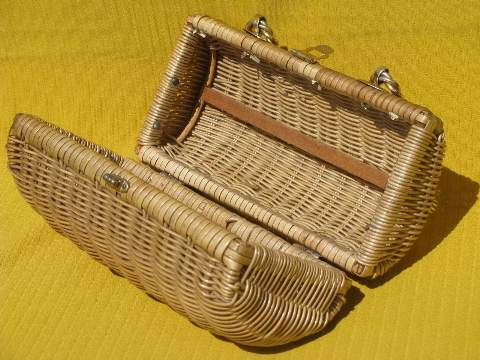 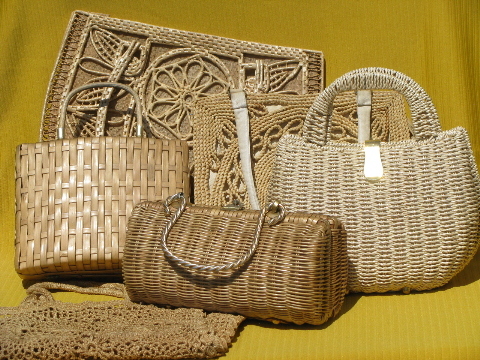 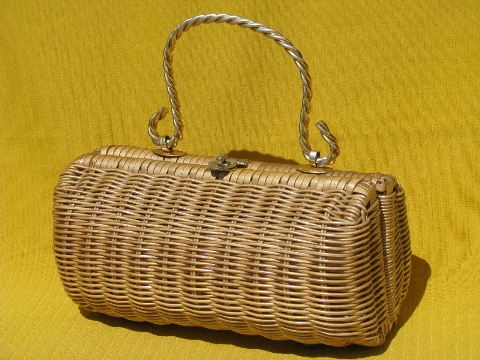 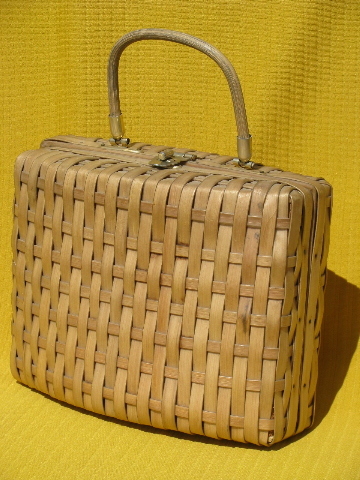 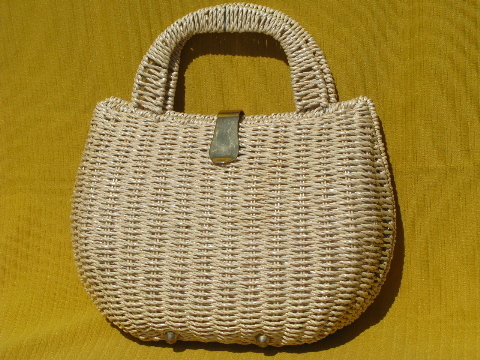 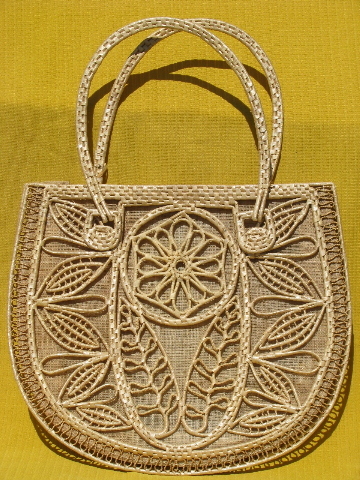 Some are straw or other fibers, some imitation straw or wicker. 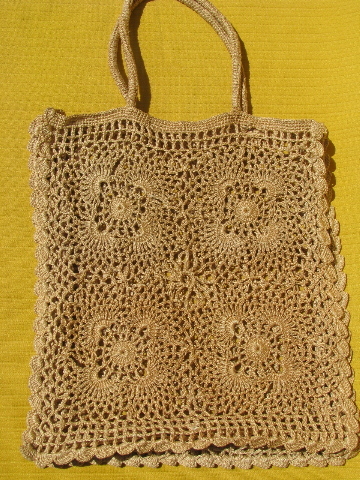 All have been used, and have some soil from use (to the interiors, mostly). 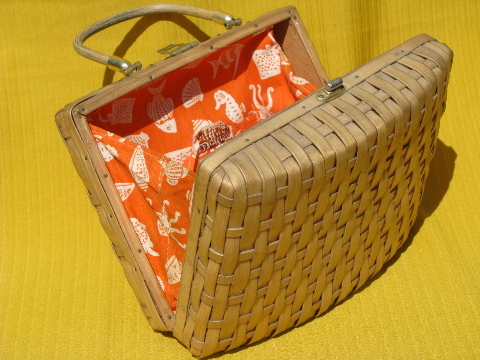 These are all in good structural condition, latches and hinges all work, and none of these have tears or holes. 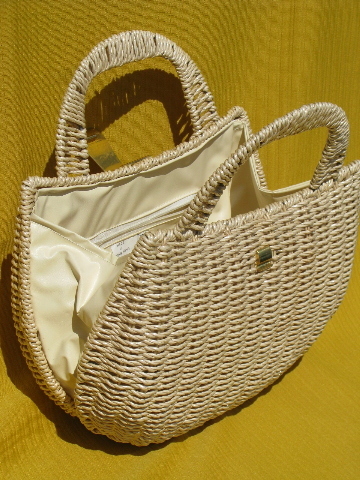 Sizes vary from small to pretty big, you&apos;ll have a nice neutral colored bag for nealy every occasion here!